We have two options for adult parties and events. The first is a tile or mug party. For the second option, you choose the pottery you'd like to paint for your event. Limited supplies (Stamps, stencils, bumpy, etc. not included in this package). 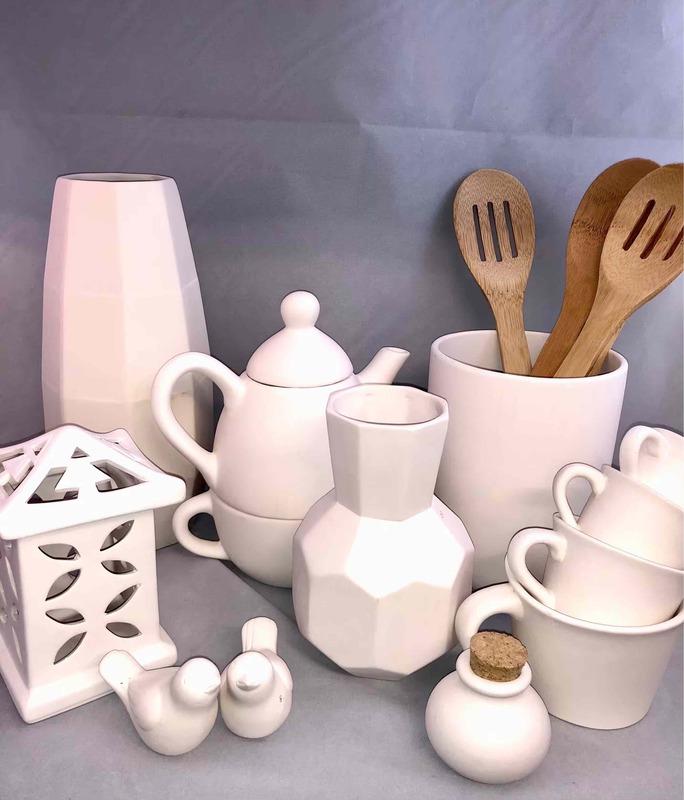 Please book your party 7 days in advance, so we can ensure we have your pottery ordered for your event. â? ?FOR ADDITIONAL OPTIONS, OR TO SELECT OTHER POTTERY CHOICES, PLEASE CHECK OUT THE "ADULT EVENT: 'YOUR PARTY, YOUR WAY' PACKAGE". For you convenience, drinks are also available for purchase. We offer fountain soft drinks, Powerade, Chocolate Milk, water, Spring Branch Kombucha, hot cocoa, hot tea, coffee, craft and domestic beer and wine. Celebrate an adult birthday, a corporate event, a social gathering, a baby or wedding shower, or gather with a group of friends. Our private room accommodates 10-20 painters. You'll select the pottery to paint and the amount of time for your event. This event can be paid for collectively as a group or individually per painter. 3. A $25 private room fee which is paid at the time of booking. Additional painting time after hours may be available. Please ask for details. A minimum of 10 painters is required and a max of 20. 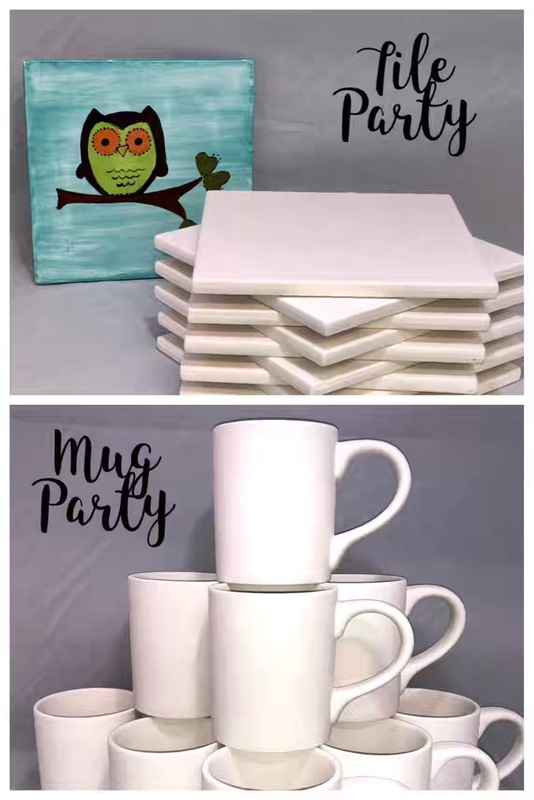 If an earlier party time is needed, adults can choose our Mug Party or Tile Party package. These party packages are available Tuesday-Saturday at 10am, 12pm, 2pm, 4pm, or 6pm. They are a maximum of 1.5 hours in the private room, everyone paints the same piece of pottery, and colors and supplies are limited to those available in the party room. Because adults often times prefer to use a wider variety of colors and supplies, and they take more time to paint detail, we recommend the adult party package “Your Party, Your Way”. Guests are welcome to arrive early, so they have time to choose their pottery. We recommend all painters are present at the beginning the event, so they can receive instructions and have plenty of time to paint their piece during the event. We offer a selection of fountain drinks, beer and wine for purchase during the event. Please let us know in advance if you would like refreshments during your party. With notice, we can accommodate requests for specific drinks.